Russian Roulette Clothing is closing out 2 designs and the prices are pretty hard to beat. 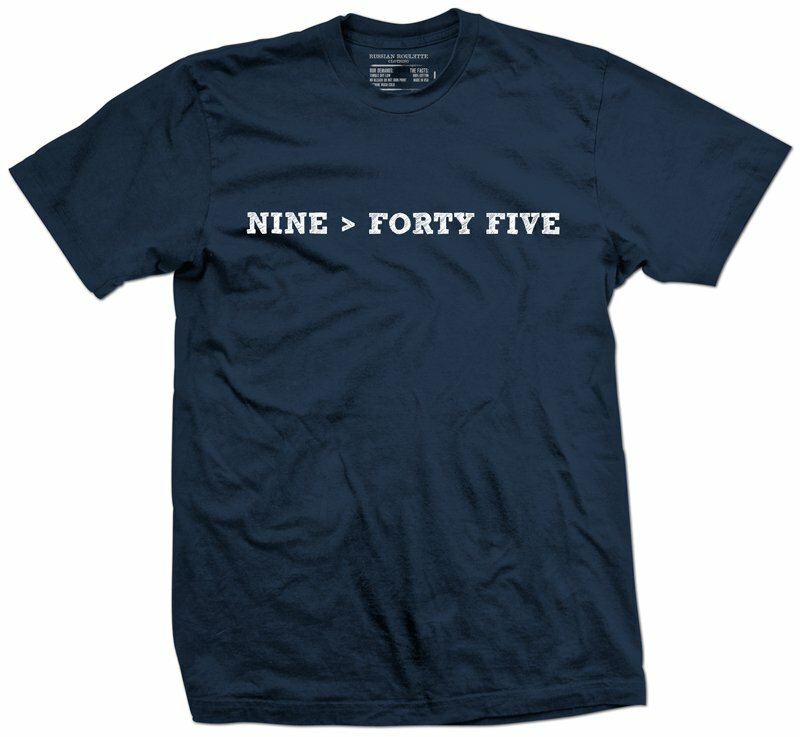 The “Nine > Forty Five” t-shirt is on sale for $10 and there are still many sizes left. 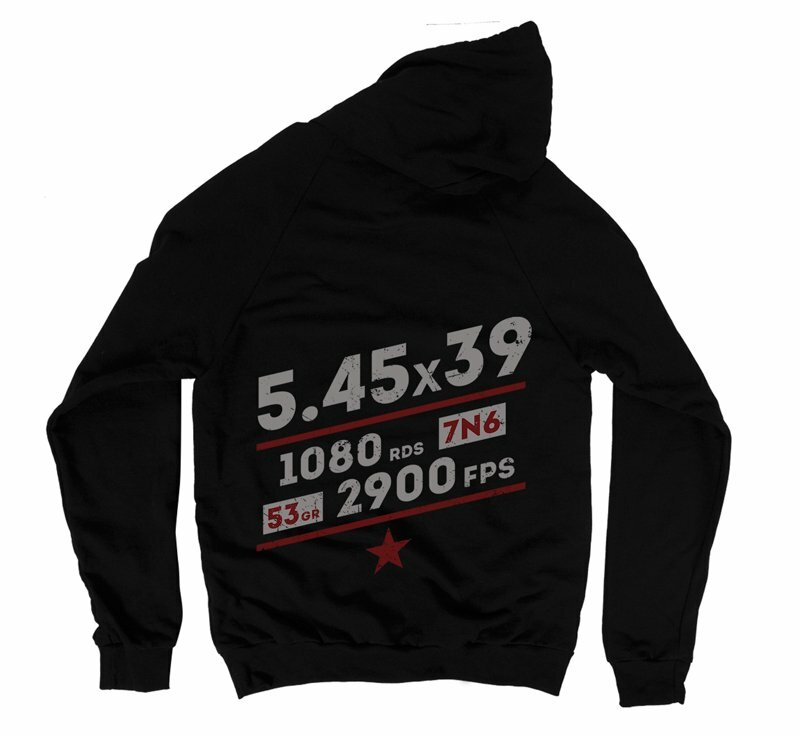 The “5.45x39mm” hoodies are on sale for just $20! These won’t last. Act fast before you size is gone.